The L.D. Bell String Quartets consist of the leaders of the varsity Symphony Orchestra. 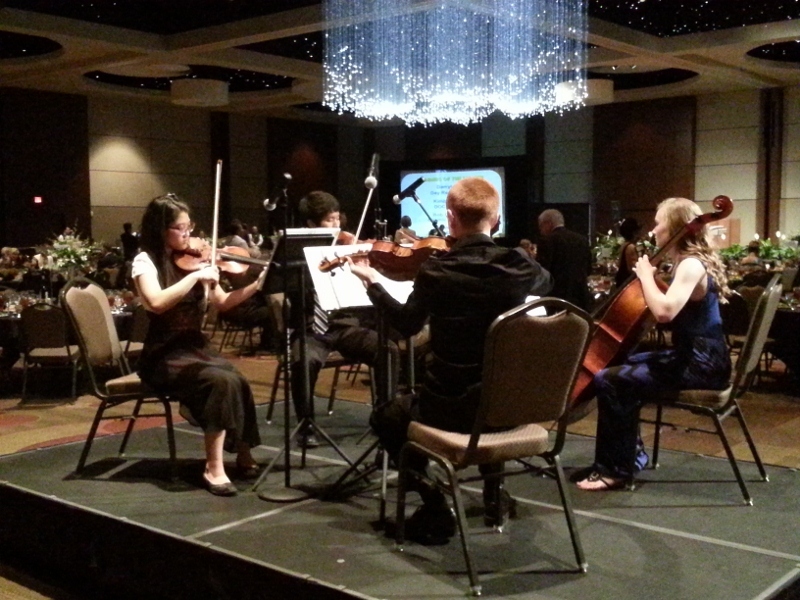 The students in the quartets perform classical music at various events throughout the school district and the community. They have performed for many different functions including the United Way Luncheon, the HEB Hall of Fame Banquet, and the Superintendent Circle Party. 2) Date of event and amount of time the quartet will be expected to perform. A customary $200 donation made out to the "L.D. Bell Orchestra Booster Club" is appreciated for non-school district functions. 100% of the donation goes right back to helping the string quartet members with various orchestra expenses. The string quartet does not perform for wedding ceremonies.